The 10.0r D comes with entry-level specifications, but packs in some interesting features. After taking the country by surprise with their 10.or range of smartphones, Amazon India is back with the latest addition to brand of smartphones designed specially for India. 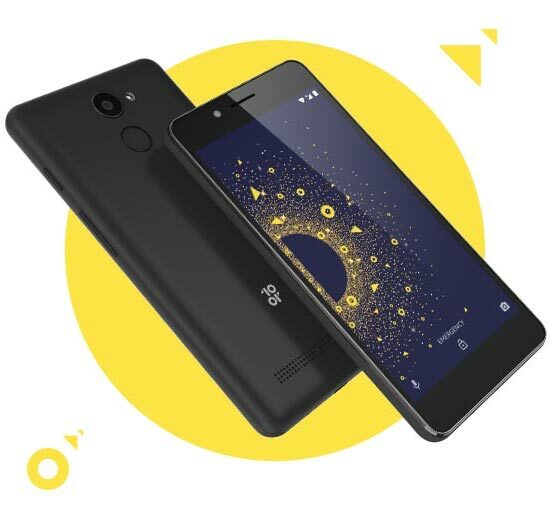 After two silent launches, 10.or E and 10.or G under their exclusive brand, the company has now brought an entry-level budget smartphone, the 10.or D, which is aimed at the masses. The 10.or D is their third offering under 10.or brand. The smartphone will be available under the company’s new ‘Crafted for Amazon‘ programme where Amazon ties up with several OEMs and sells their products under its own label. The handset comes with entry-level specifications, but packs in some interesting features, and will take on the likes of the recently launched Redmi 5A. The newly launched 10.or D shares a lot of specifications with Redmi 5A including the processor and cameras. The body is plastic, but has a matte, metal-like finish which feels good in hand. The build-quality is above-average, and surprisingly it has a fingerprint sensor at the back. Kudos! The 10.or D will come with a 5.2 inch HD display with a resolution of 1280 x 720 pixels. The bezels are thick, but managable. The 10.or D will get powered by a 1.4GHz quad-core Snapdragon 425 Cortex A53 processor with an Adreno 308 GPU, coupled with 2GB or 3GB of RAM. The Amazon smartphone will run Android 7.1.2 Nougat out of the box and will come with some pre-loaded Amazon apps like Kindle and Prime Video. It has two storage options of 16GB and 32GB coupled with 2GB RAM and 3GB RAM variants respectively. There is a additional Micro SD card slot. The 10.or D will come with a 13 megapixel rear camera paired with an LED flash. On the front it will feature a 5 megapixel selfie shooter. 10.or D will come with the usual connectivity options like Bluetooth, Wi-Fi, micro USB port and a 3.5mm headphone jack. It also supports OTG. The smartphone will pack in a 3500mAh battery with a 2 day backup and upto 10 days of standby time. The 10.or D is expected to be available at prices starting at Rs. 4,999/- for the 2GB + 16GB variant and Rs. 5,999/- for the 3GB + 32GB variant. It will be Amazon India exclusive and will go on sale from January 5. Prime members will get an extended one-year warranty. 10.or D and Redmi 5A have a lot of specifications in common like the Snapdragon 425 processor, 2GB and 3GB of RAM, 13MP rear camera and 5MP front camera. The first big reason to buy 10.or D over Redmi 5A is the higher battery capacity of 3500mAh. Redmi 5A houses a 3000mAh battery against 10.or D’s bigger 3500mAh unit with a promised 2-day battery-life. The other major highlight is the fingerprint scanner at the back. 10.or D is one of the lowest-priced phones available with a fingerprint scanner. A fingerprint sensor at this price point is an obvious eye-catcher. On the other side, the Redmi 5A has no fingerprint sensor. Amazon is offering an Extended Warranty of one-year to its Prime customers on the latest 10.or smartphone. This is a major add-on for any entry-level, budget smartphone. Redmi 5A sports a 5 inch HD display, whereas 10.or D will come with a larger 5.2 inch display with narrow bezels on the sides. The Redmi 5A is currently available only via flash sales. And being in demand, whatever limited stock is available in these sales gets over really fast. The 10.or D will be available on Amazon from 5th January onwards. But, Redmi has an advantage. It is an established brand, which has made a name for itself with consistency and excellent value for money. As such it has an edge over 10.or which has just launched in India. But it is backed by Amazon and might give Xiaomi’s Desh Ka Smartphone a hard time. "Amazon Launches 10.or D With Big Battery; Is It Better Than Redmi 5A? ", 5 out of 5 based on 1 ratings. OnePlus 6 Notification Page Goes Live On Amazon; Get Free Avengers Movie Tickets!